As thousands of U.S. weapons enter Mexico each year, the Mexican government has grown increasingly frustrated with the United States, arguing that the U.S. is not effectively countering gun trafficking. In a speech to the U.S. Congress, President Calderón said, “We cannot ignore the fact that the challenge to our security has roots on both sides of the border.” Mexico argues that the White House has focused almost exclusively on curbing the flow of drugs from Mexico into the United States but has done little to stop the smuggling of guns in the reverse direction. In 2010, nearly 80% of the weapons confiscated by Mexican officials were traced to the United States, leading Mexico to maintain that the U.S. is unintentionally fueling the violence in their nation. 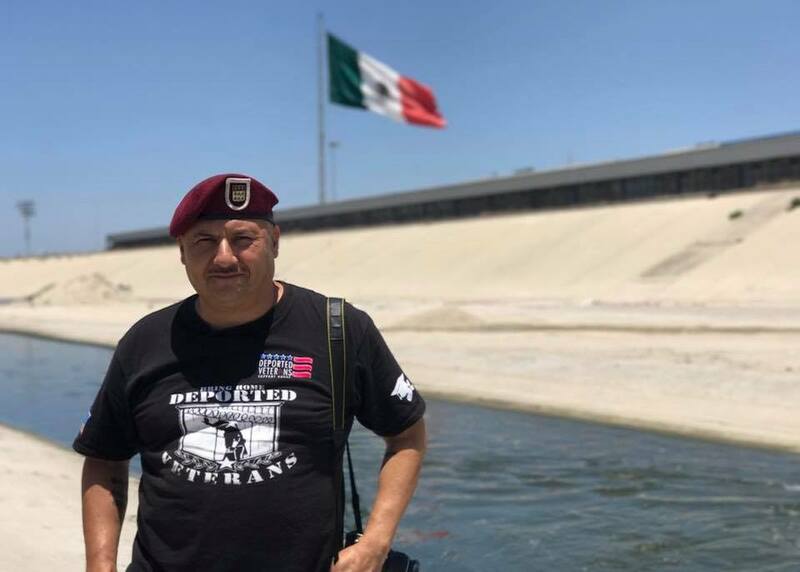 Moreover, the Mexican government’s anger further escalated in recent months, when it was found that a botched U.S investigation called Operation Fast and Furious knowingly allowed thousands of U.S. guns to enter Mexico. As a part of this plan, the U.S. Bureau of Alcohol, Tobacco, Firearms, and Explosives (ATF) had encouraged the sale of weapons to suspected gun traffickers in order to track them. The increasing number of guns smuggled into Mexico, along with the recent ATF scandal, are very disappointing for gun control groups that hoped the Obama administration would bring improvements. However, President Obama’s ability to significantly curtail gun trafficking is limited by weak gun laws and influential National Rifle Association (NRA) lobbyists, which together pose a huge obstacle for the enactment of meaningful policies dealing with the issue. Gun trafficking to Mexico has grown drastically worse in recent years, with the number of firearms trafficked to Mexico increasing from 2,000 in 2007 to 5,000 in 2009. The increasing number of firearms smuggled across the U.S.-Mexico border aggravates the already extremely high levels of violence in the country, which has suffered 36,000 drug-related deaths in the past four years alone. The majority of these contraband weapons are semiautomatic rifles—AK-47s in particular—which are much more sophisticated than the basic weapons used by the Mexican police. A report conducted by the U.S. General Accountability Office (GAO) found that the Mexican police are encountering weapons that are “increasingly more powerful and lethal.” The standard ammunition of many semiautomatic rifles can even pierce through the armor worn by police officers. As drug trafficking organizations have acquired these more dangerous and expensive weapons, it has become even harder for the Mexican authorities and police to counter drug-related violence. Although the number of guns smuggled into Mexico has increased, the Mexican government’s efforts to seize smuggled firearms have greatly improved since current President Felipe Calderón took office in 2006. 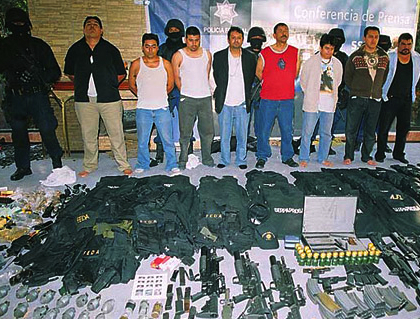 In 2009, for instance, the Mexican government seized 32,332 firearms, more than three times the 9,562 weapons seized in 2007. However, despite the Mexican government’s progress, weak gun legislation in the United States has exacerbated the issue. Mexico has strict laws surrounding gun ownership, and citizens there often have to wait years before the required background check is completed and they are cleared to own a gun. However, because guns can be bought and sold so easily in the United States, many Mexicans can easily purchase illegal American guns through smuggling routes. Although President Obama initially promised to take a harsher stance against gun trafficking, his administration has done little to counter the problem. Shortly after taking office, Obama declared, “We need tougher border security, and a renewed focus on busting up gangs and traffickers crossing our border. As president, I’ll make it clear that we’re coming after the guns, we’re coming after the money laundering, and we’re coming after the vehicles that enable this crime.” In order to kick start his initiatives, he imposed financial sanctions in 2009 against Sinaloa, Los Zetas and La Familia Michoacana, three of the most notorious Mexican drug cartels. The process of implementing sanctions and adding cartels to the banned list generally takes around a year, but Obama accelerated this process in order to crack down on the narco-traffickers. The policy allows U.S. officials to confiscate the cartels’ financial assets in the United States, estimated to be worth billions of dollars, and to prosecute Americans who provide weapons, drugs, or money to the cartels. Unfortunately, actions such as the financial sanctions have been the exception and not the rule in the Obama administration’s approach to the drug war, which has been overwhelmingly lax in taking measures to prevent gun trafficking. Powerful U.S. interest groups, such as the NRA, have protested the proposals for stricter gun legislation, arguing that these policies would infringe upon their 2nd Amendment rights without significantly curtailing gun trafficking. Additionally, gun rights groups maintain that the problem is not with U.S. laws because they claim there is an “extensive web of laws [that] applies to firearms transactions related to gun trafficking between the United States and Mexico.” Instead, gun rights groups advocate that the main problem is the corruption that exists among Mexican officials, who allow guns to pass through customs easily. Additionally, these groups argue that even if U.S. laws were stricter, Mexican drug cartels would still gain access to firearms by turning to other nations. Despite the arguments of gun rights groups, it is impossible to ignore the consequences that relaxed U.S. gun laws have on gun trafficking. The link between weak American gun laws and gun trafficking is particularly revealing when one examines the recent increase in the number of AK-47s and semiautomatic rifles found in Mexico. As stated previously, the GAO reported that these weapons have become increasingly common in Mexico. Notably, in 2004, the U.S. Congress removed a ban on the consumer purchase of assault rifles, which made it easier to acquire these weapons. While it is impossible to show that this law has directly impacted the trafficking of assault weapons, the recent spread of assault rifles into Mexico and the increase in violence crime since the ban was lifted do not seem to be purely coincidental. Furthermore, because laws regulating the possession and sale of guns in the United States are so loose, it is difficult to prevent traffickers from gaining access to U.S. firearms. Traffickers can easily purchase guns because no background check is required when individuals, rather than gun stores, are selling or transferring weapons. U.S. authorities can only inspect gun stores once a year without a warrant, and many gun stores near the Mexican border are rarely inspected at all. Even if the ATF does find that a gun store has broken the law, there is only a very small chance that the gun store will actually lose its license and offenders are generally only charged with a misdemeanor. Ammunition sales are also insufficiently monitored and the importance of limiting ammunition sales is overlooked, despite drug cartels’ constant demand for bullets and magazines. The questionable investigative practices of the ATF, which is the agency charged with regulating the purchase and sale of firearms, have posed further problems for countering gun trafficking. As a part of Operation Fast and Furious, ATF officials encouraged gun dealers to sell weapons to suspected gun traffickers and cartel members. The ATF hoped this strategy would help them arrest the leaders of the trafficking networks rather than only the straw buyers, or the “small fish in the smuggling business.” However, the success of the strategy has been questionable. While the ATF announced in February that 34 suspects had been indicted, none of these people were prominent cartel members. Even worse, the ATF lost track of hundreds of guns that were later recovered by the Mexican police. Several of these firearms were eventually found at crime scenes involving American officials, sparking the initial calls for an investigation. For instance, two AK-47s on an ATF watch list were found at the crime scene where Brian Terry, a border patrol agent, was shot. In another instance, Jaime Zapata, an Immigration and Customs Enforcement agent, was murdered by three men who were previously under investigation by the ATF. Many ATF agents became disillusioned with Operation Fast and Furious, which they criticized for putting countless lives in danger. ATF agent John Dodson voiced his concerns that, “with the number of guns we let walk, we’ll never know how many people were killed, raped, robbed . . . There is nothing we can do to round up those guns. They are gone.” However, Dodson said that he was dismissed when he tried to approach the ATF director with these worries. He was told, “In order to make omelets, you have to break a few eggs.” While obviously the ATF thought their ends justified the means, it seems impossible to justify the introduction of more than 1,500 weapons into a country already racked by thousands of drug-related deaths. Complaints from these officials reached Senator Charles Grassley (R-Iowa), the top Republican on the Judiciary Committee, who then launched allegations against the ATF in March 2011. Grassley reported that “Dismantling the Mexican drug cartels is a worthy goal. However, asking cooperating gun dealers to arm cartels and bandits without control of the weapons or knowledge of their whereabouts is an extremely risky strategy.” A federal investigation is now under way in order to determine the facts of the operation, along with who authorized it. News of the operation infuriated Mexican officials. Senator Luis Alberto Villarreal responded by saying, “Carrying out this type of operation in our country is unacceptable. It violates trust and also undermines national sovereignty.” President Obama responded to Mexico’s sense of outrage, saying that neither he nor Attorney General Eric Holder knew about or authorized the operation. Regardless of President Obama’s alleged involvement, the implementation of this project by high-ranking U.S. officials tensions has incensed the Mexican government and jeopardized hopes for effectively curbing gun smuggling. This recent debacle has cast even greater doubt on the ability of the U.S. to counter the flow of guns into Mexico. The Obama administration had already been criticized for its feeble attempts to prevent guns from entering Mexico, and the failed “Fast and Furious” operation only heightened misgivings about U.S. commitment to fight gun trafficking. Furthermore, in light of the ease with which guns can be bought and sold in the United States, it is incredibly difficult for both the U.S. and Mexican governments to prevent firearms from falling into the hands of smugglers. The U.S. government faces a tremendous difficulty in trying to balance 2nd Amendment rights with demands for national and international security. Yet in order to do its part in fighting the devastating violence presently unfolding in Mexico, the U.S. government must do more to monitor the sale and possession of firearms within its borders. Stricter regulation and heightened monitoring of firearm sales will be an instrumental step in ensuring that these weapons do not fall into the wrong hands.